John Ronald Reuel Tolkien, best known as J.R.R. Tolkien (1892-1973), is a legendary British author and scholar who reinvigorated the high fantasy genre with The Hobbit (1937), followed by its sequel, an epic trilogy about the universe of Middle-Earth, The Lord of the Rings (written between 1937-1949). 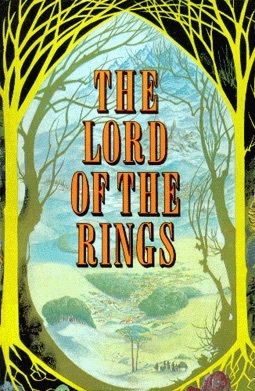 It consisted of three books: The Fellowship of the Rings (1954), The Two Towers (1954), and The Return of the King (1955). 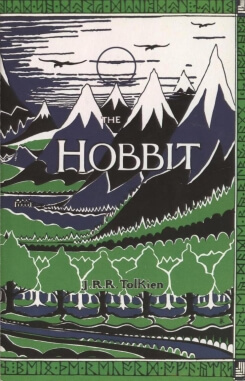 Tolkien's works achieved high acclaim, selling over 150 million copies, and have been adapted into popular movie adaptations, sustaining popularity across multiple generations worldwide. 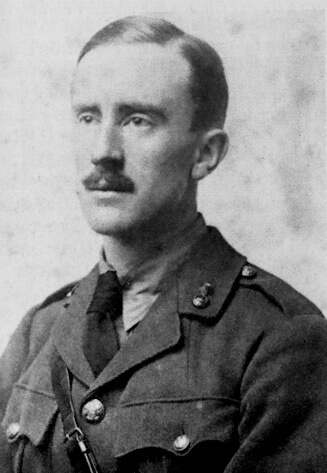 Tolkien, considered the paramount creator of high fantasy literature, served in the British Army during World War I, during which he fought in the Battle of Somme. Soon after, he created his earliest works of the Legendarium in The Book of Lost Tales, Part One . Following the Great War, Tolkien became an Oxford scholar who taught literature and published glossaries of Middle English, including A Middle English Vocabulary (1922). He was friends with C.S. Lewis with whom he participated in a literary club supporting fantasy writers called The Inklings. Though Tolkien's most famous novels are not available in the public domain, we offer a middle-earth-worthy poem we were delighted to find, titled Goblin Feet , which we hope you enjoy reading. We mention his work in our Science Fiction Study Guide.